Pushkar-Gayathri are back in Tamil cinema after seven years with Vikram Vedha. 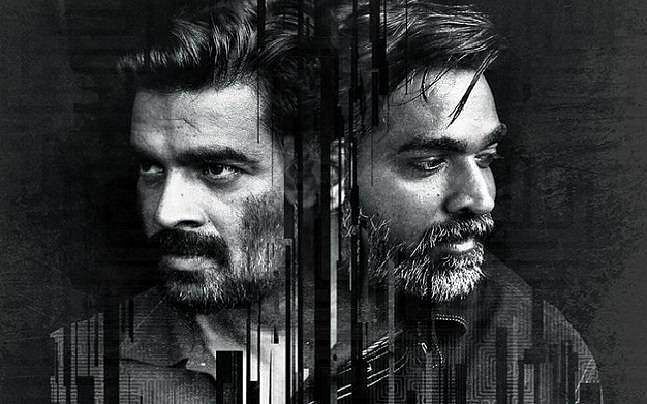 The husband-wife duo, known for their dark comedy and neo-noir treatment are now venturing into action-thriller territory, with Madhavan and Vijay Sethupathi as Vikram and Vedha. They play an encounter specialist and a crime lord, respectively, with both characters having hefty shades of grey. Shah Rukh Khan and Sivakarthikeyan both released the trailer simultaneously on Twitter today.